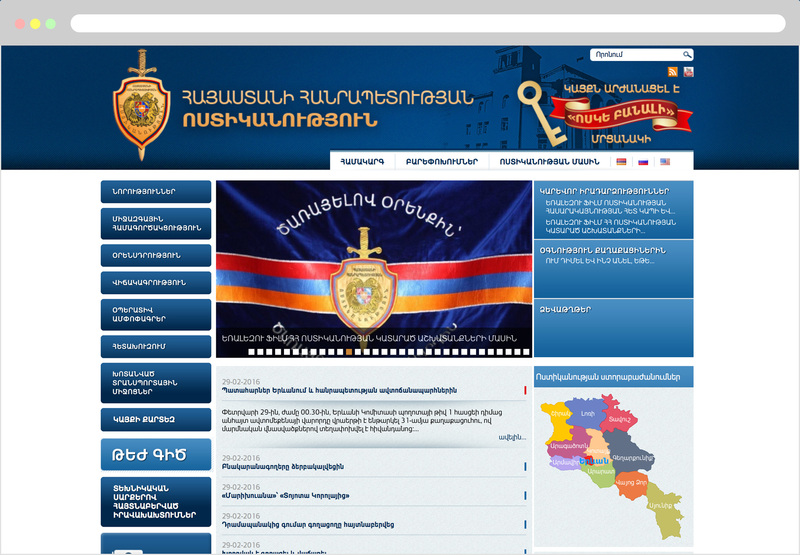 The police of RA initiated to create a website that will become a reliable and source of fully information for the media, assist citizens in solving legal problems and having a preventive function. Before starting the works we had set the goal to create the website that will satisfy not only the police' but also the citizens' information needs. This project makes easier the citizens' lives and increased confidence in the accuracy of the information police. As a result, we had an informational website with multi functional systems which has become an integral part of the citizen’s virtual life.